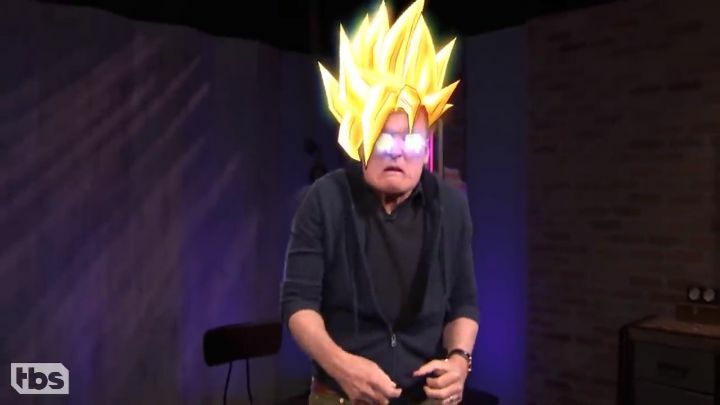 You might know Conan O’Brien, the popular late-night talk show host (a man famous for the show that bears his name), while an increasing number of people are also paying attention to his “Clueless Gamer” show. Here O’Brien makes fun of the latest video games, including blockbusters like Ubisoft’s Assassin’s Creed Origins and also Square Enix’s Final Fantasy XV, which Conan infamously called an “epic, blue b*lls waste of time”. And even though some may be offended by Conan’s attitude to games (especially the more serious video gamers out there) it’s clear each Clueless Gamer episode is quite a bit of fun, and worth watching for its comedy value alone. This is especially true of the latest episode, in which Conan joins forces with fellow comedian Ron Funches of Undateable fame. The two take part in a game of Dragon Ball Legends, an anime card game which is actually the first mobile game to feature in the show. Both Conan and Funches appear to have fun looking at a series of pictures depicting the game’s characters, while as is usual Conan is completely clueless about the game, while his host Ron Funches does seem to be quite well versed in the anime video game series. This is another Clueless Gamer instalment worth taking a look at then, and hopefully Conan and his celebrity hosts will keep playing games for our amusement for the foreseeable future too.